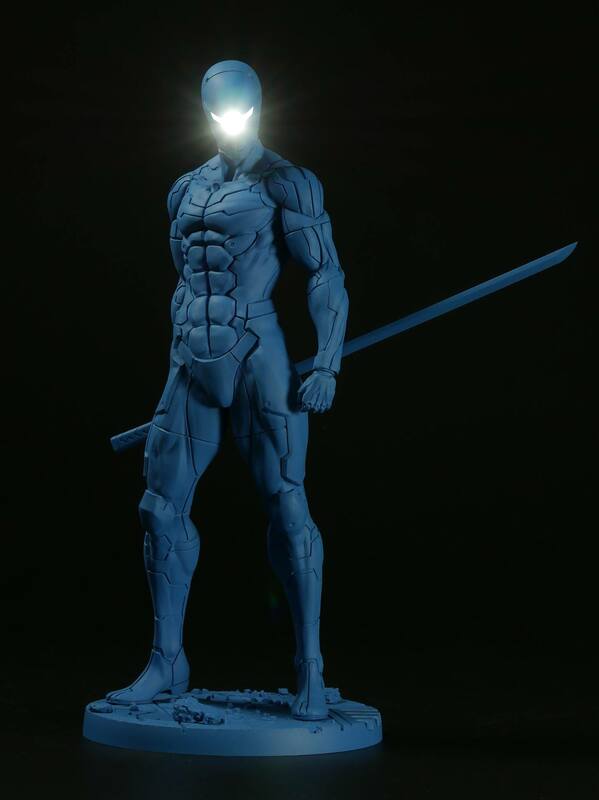 The upcoming Metal Gear Solid Cyborg Ninja 1/6 Scale Statue was fully revealed by Gecco back in August. 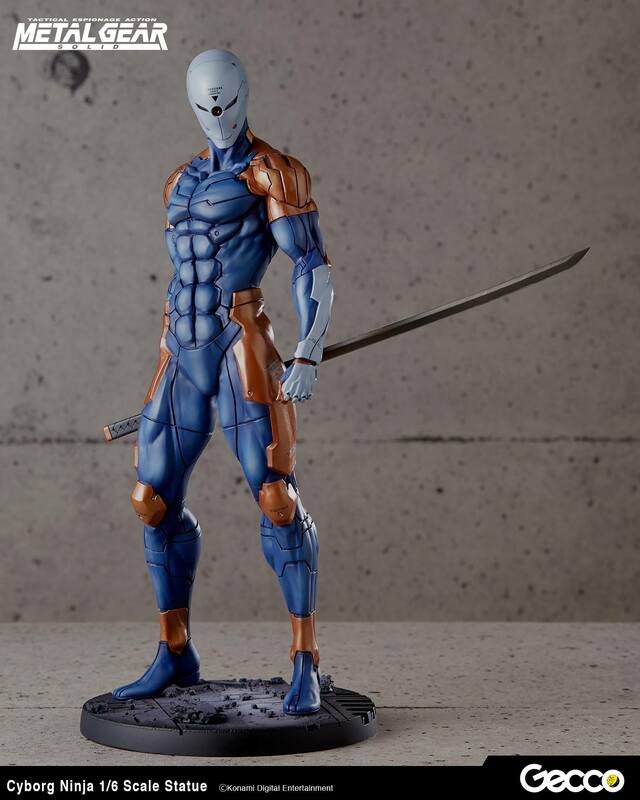 Also known as Gray Fox, the Cyborg Ninja debuted in the original Metal Gear Solid video game for the PlayStation. 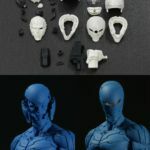 This statue will stand just under 12″ tall and includes a masked portrait, an open mask portrait, and interchangeable right arms. 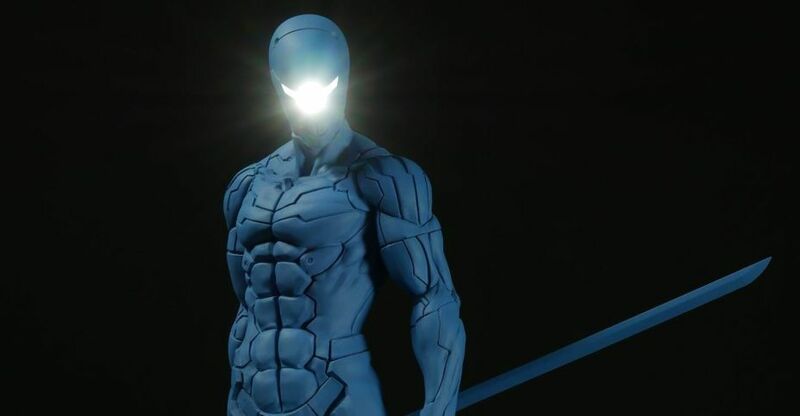 It features an LED light up effect in the masked portrait. 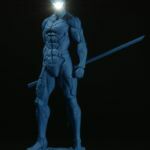 The Cyborg Ninja will join previous Metal Gear series releases like Raiden, Venom Snake, Quiet and Ground Zeroes Snake. 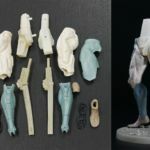 Gecco has shared a really cool behind the scenes look at the making of the statue. 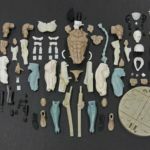 The new images showcase the 113 individual parts that are used to created the pre-painted statue. Click the headline of the story for the images and additional details. 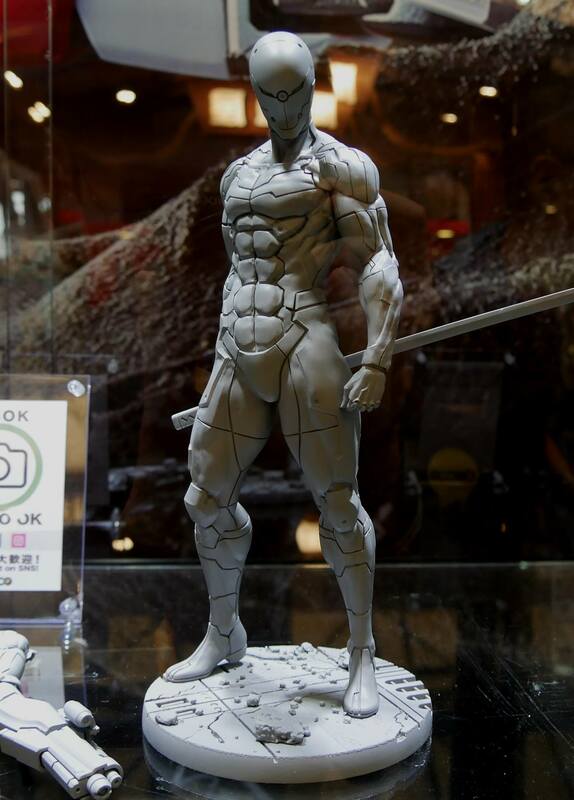 This statue is composed of 113 PVC/ABS parts. The head is one of the most complex structures in Gecco history. 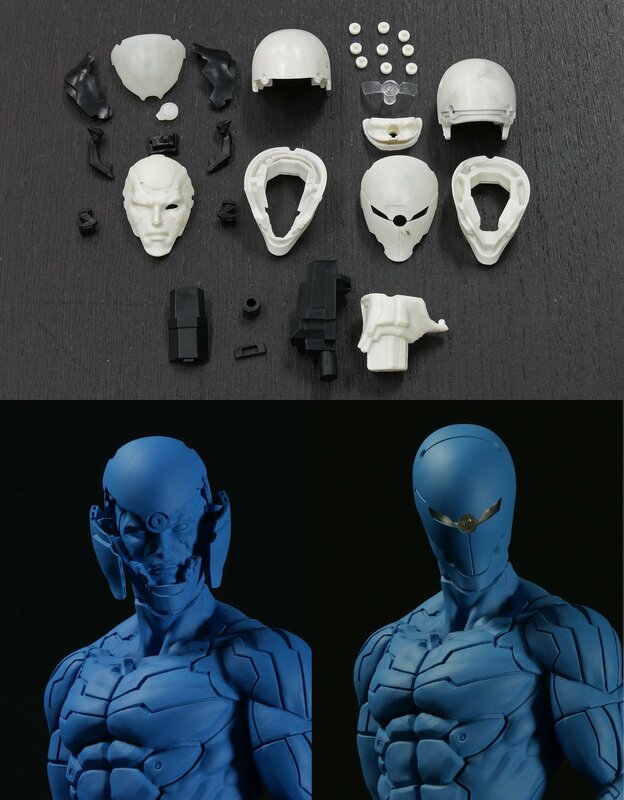 All the bolts on the helmet are separately molded and glued in order to recreate the original design. 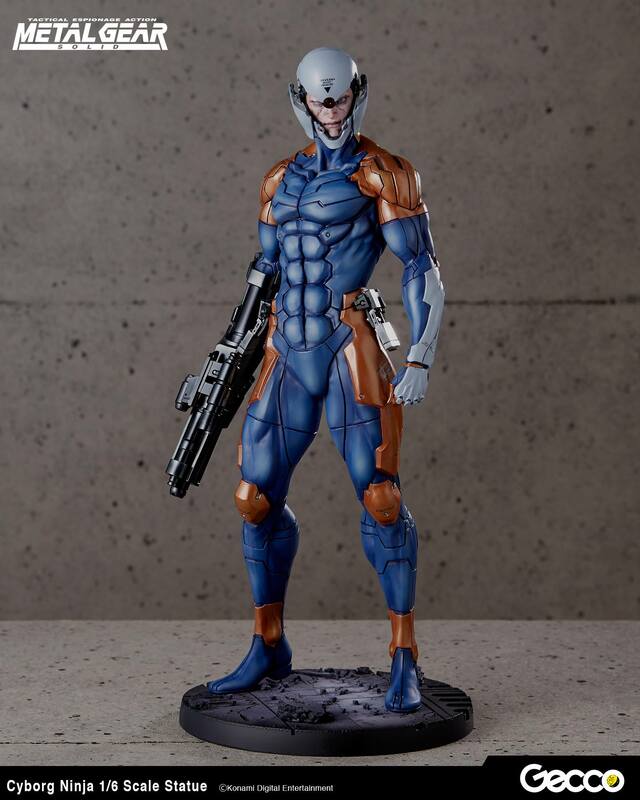 Gray Fox has a head forward posture, and the right heel is raised to get ready for a battle. 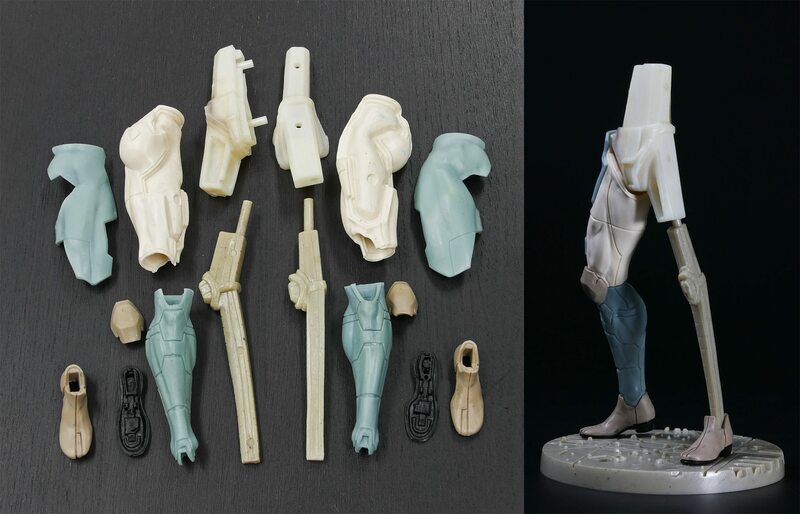 To support this posture, the inner frame of the leg is made of ABS, which is a hard material preventing the statue from deformation.